This cowl is simple and fun to knit but it feels amazing. 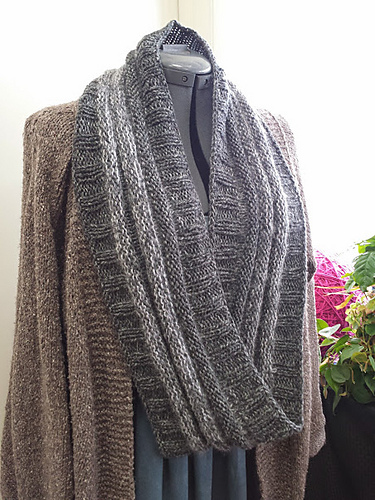 Perfect for everyday wear it’s super comfortable and everyone is going to be asking you where you bought your amazing cowl. After you tell them you knit it they’re going to want you to knit one for them too! The longer size doubles nicely for extra warmth. The Kid Seta was used as an accent in alternating rows and is totally optional. Pattern is shown in the large size. There are two sizes, large and small.